Mediocrity. The single defining factor of most brand films is mediocrity. Face it, there are a few, a very few, absolutely astonishing films every year. The ones people outside the industry see. Then are the are the truly shocking films. The ones so bad, so downright poorly conceived that the whole executive team go into crisis-management. There are very few of those too. You have to work pretty damn hard to come up with a film that actually damages a reputation. The majority – there are 3.8bn Google results for the search ‘brand film’ - but let’s call it 3.4bn, are mundanely mediocre. They’re instantly ignorable. All that energy, all those dark hours in an edit suite and still the film just flies under your thumb, ignored or stopped within milliseconds. It’s saddening to think that so many people spend so much of their time producing videos that simply do not register. You can have all the metrics in the world but none of them matter if your film just bounces around a big empty space then drops out of popular consciousness forever. Why is so much of the communication that surrounds us so goddam uninteresting? It is because there was ‘no harm of anyone using any truly insightful data in the production of this commercial’. Ironically, the enemy of the transformational use of data is the enormous range of metrics available. Scores of available metrics, none of which really tell you why your film was so unengaging. There’s a creeping, brutish incrementalism at work here. Grinding infinitesimal gains out of great lakes of data. It works, slowly but it’s no way to make your film soar. Frankly if that’s your approach to data-driven insight, I’d rather replace you with robots and do it at 20% of the cost. Mediocrity guaranteed? (There would probably be a lot of takers, get in touch if you’re interested). If you want a real breakthrough you need to take a Wholebrain approach instead. Numbers are our friends but so is ambiguity and the novelty that comes from it. We’re trading vanity metrics for Cultural Analytics: Spotting the patterns that help you see what’s coming around the corner. You need killer-not-filler data, but first you need intuition. 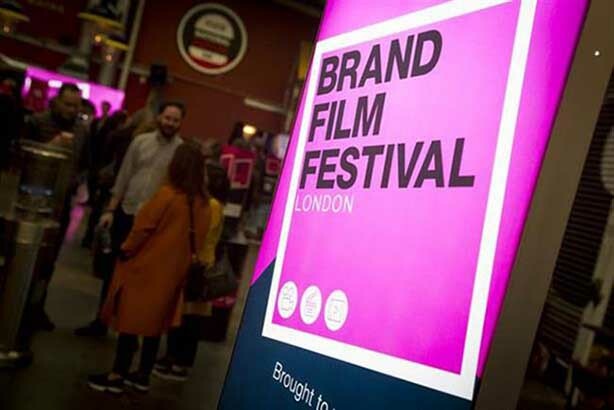 If it does its job right, the Brand Film Festival should counteract mediocrity. The fight against forgettable is on.